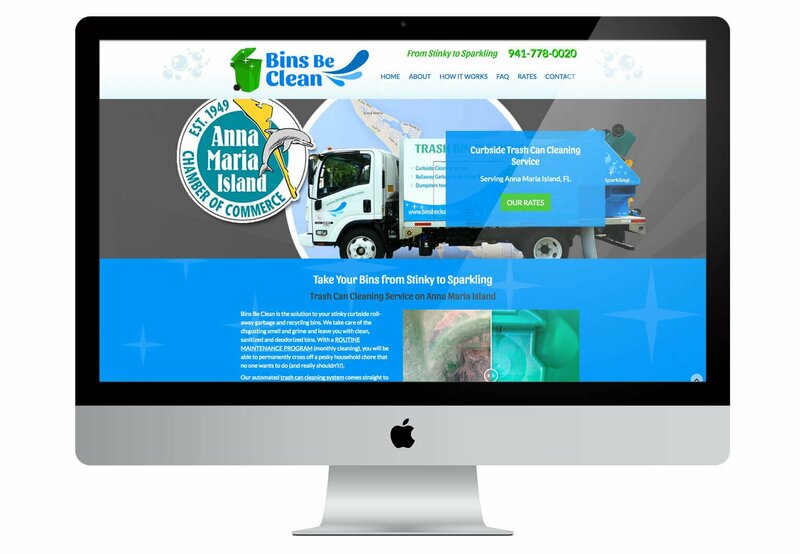 Bins Be Clean is a revolutionary new trash can cleaning service on Anna Maria Island. This new business wanted a fresh look that outlined the process of their cleaning services via icons, illustrations and before-after photos so that customers could easily digest the information. 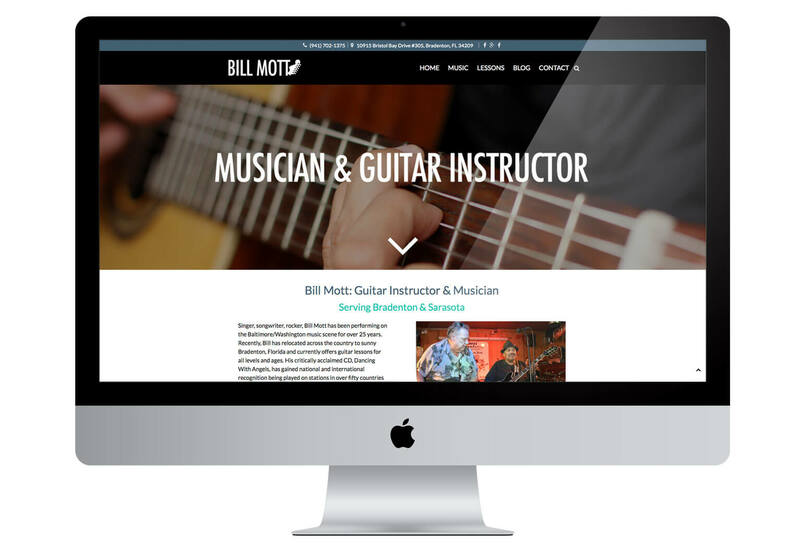 Bill Mott is a professional musician and guitar instructor who recently moved to Bradenton and needed a website to attract new students. We set him up with a WordPress website which he can update and manage with ease. Since this is a music website, we incorporated his ReverbNation music player so customers can get a taste of his music. Sawaquato Inn is a resort located in beautiful Curtis, Michigan. 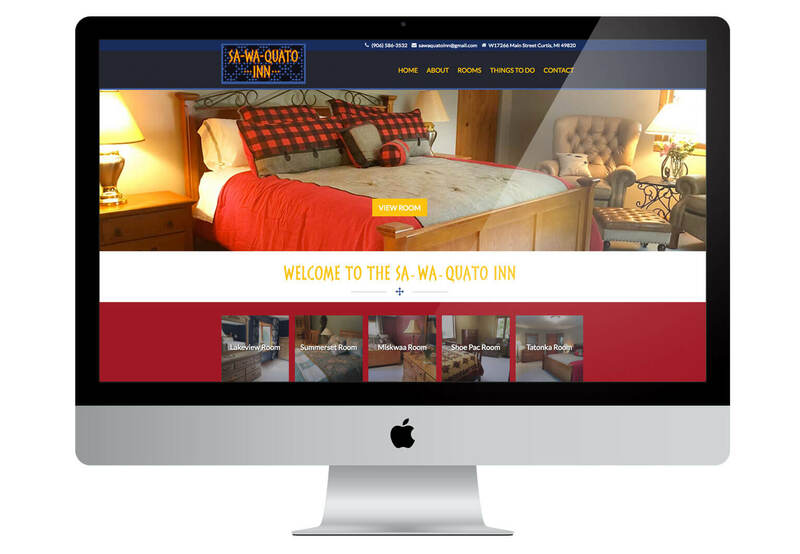 They needed a mobile-friendly website in which customers could book rooms, view photos of the resort, as well as read testimonials from past clientele. 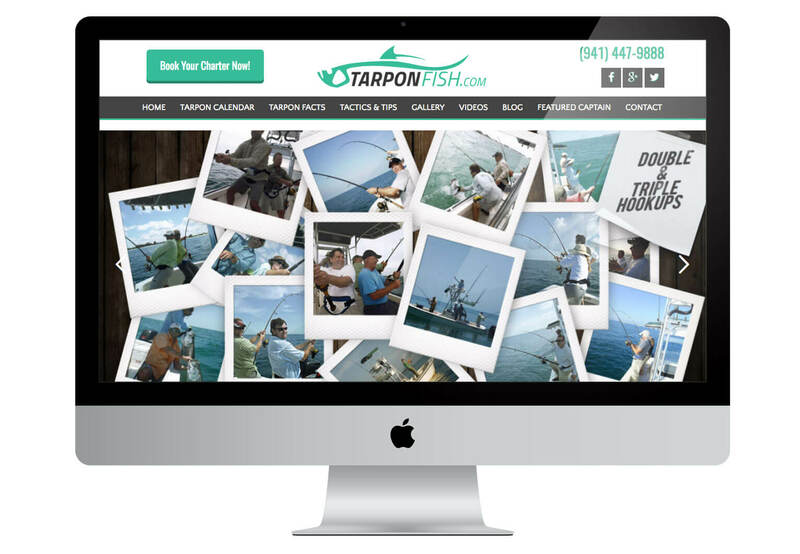 Tarpon Fishing needed a redesign of their website since their old template admin area wasn’t functional and was difficult to update. They also wanted design and speed improvements, as well as our advanced SEO services to get them ranked higher in Google. Anna Maria Island Art League is an organization located on the island, offering art exhibits, classes and festivals. They had asked us to redesign their old website; as they wanted the new site to reflect the livelihood of the organization; incorporating their weekly events, classes, and more. 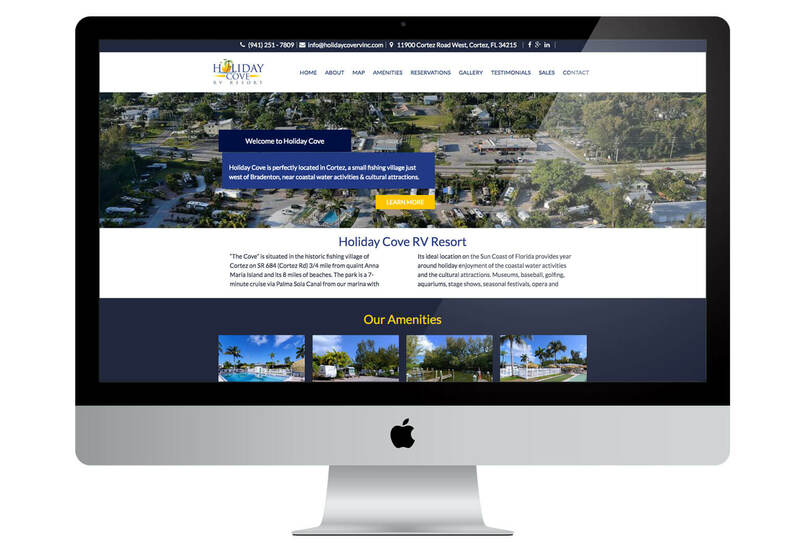 Holiday Cove RV Resort, located in Bradenton, needed a redesign of their previous website. Holiday Cove wanted to show off their new professional photos and aerial videos, so we incorporated large galleries and an advanced video player into their website. 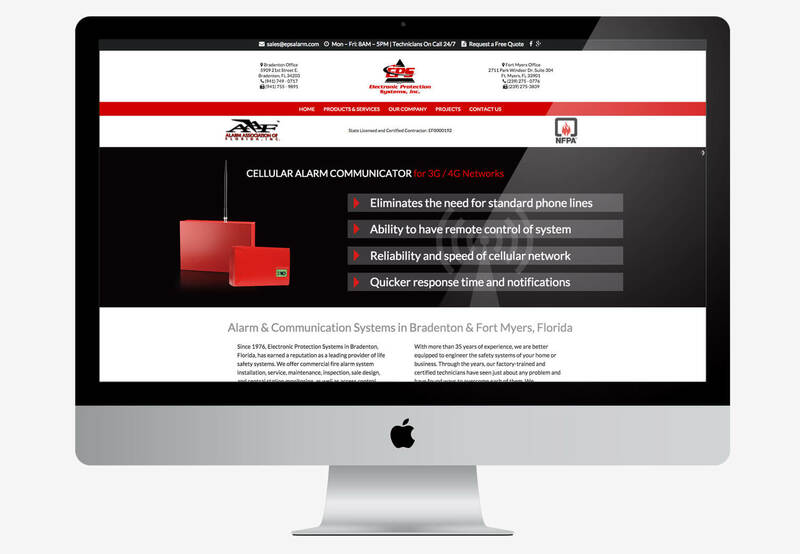 Electronic Protection Systems of Bradenton needed a redesign of their dated website. They wanted to show off their products, so we created custom animated layersliders to highlight their products & services. 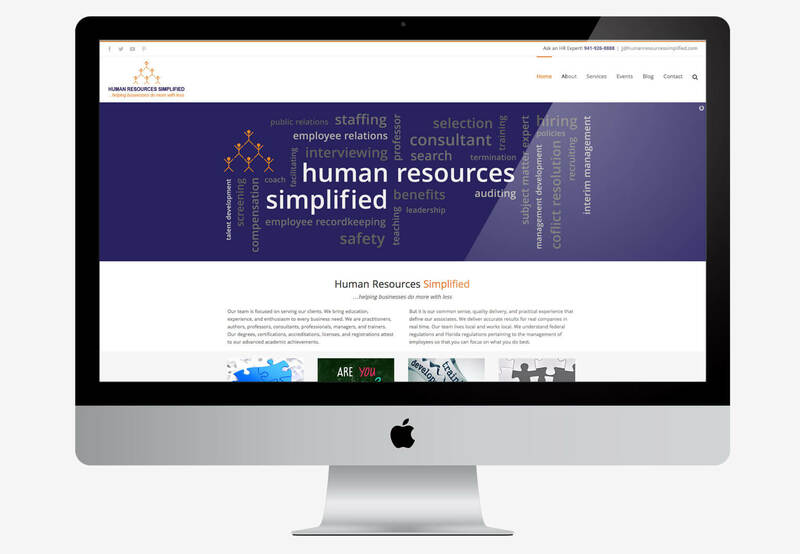 Human Resources Simplified needed a redesign of their dated website. So we set them up with a beautiful WordPress content management system they can update & manage. In addition, we provided our local & advanced Search Engine Optimization services. Salon Salon of AMI is a popular full service salon & spa located on Anna Maria Island’s Holmes Beach and Pine Avenue. 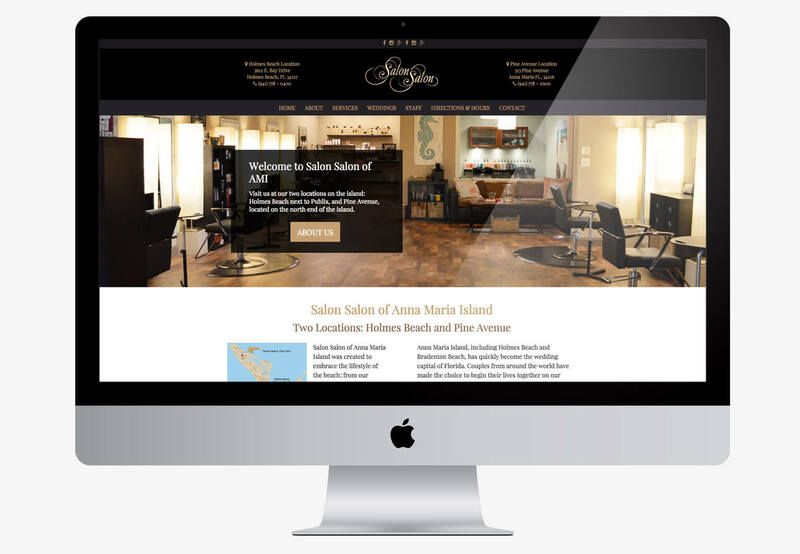 Using our very own ‘Brain’ WordPress Theme, we created a beautiful & easy to manage website featuring updatable salon menus, beautiful photo galleries and their highlighted products. 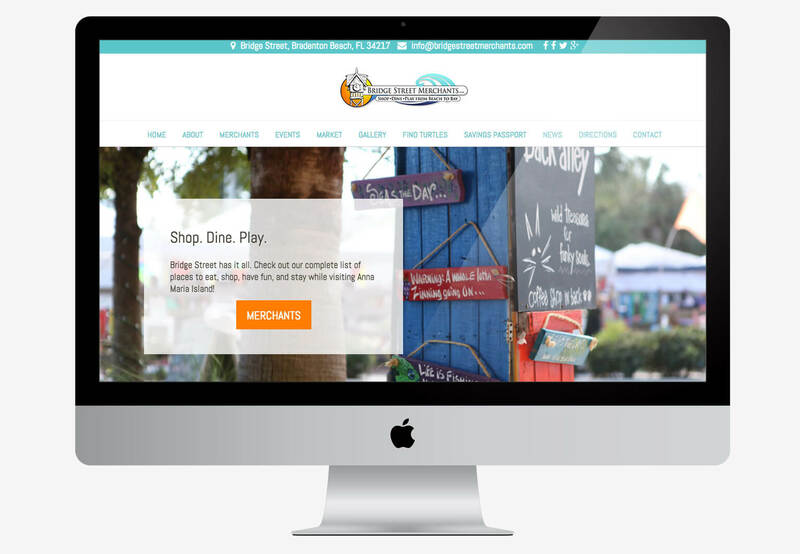 We created a new website for Anna Maria Island’s Bridge Street – where locals and tourists can view all the events, live music, shops & restaurants that this vibrant neighborhood has to offer. 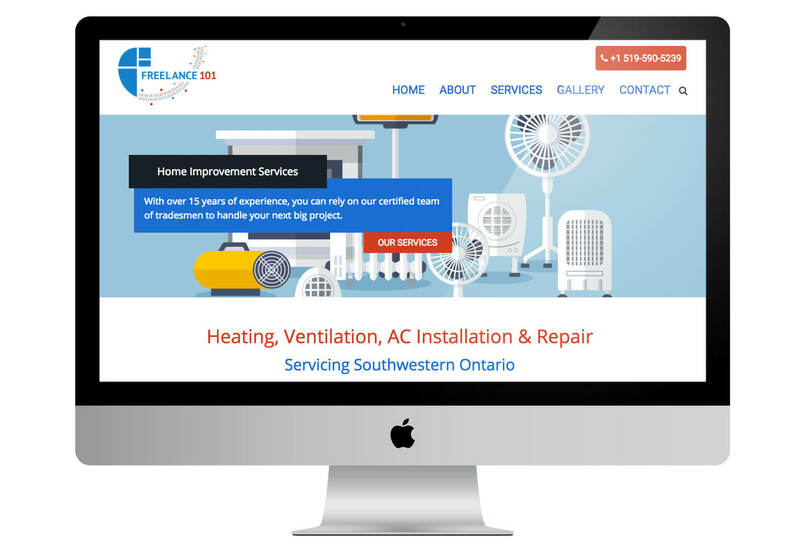 Our client, Freelance 101 from Canada, needed a brand new website for his company. So we designed a responsive website built with the most popular and easy to update Content Management System, WordPress. We designed The Fish Hole a new responsive website built with the most popular and easy to update Content Management System, WordPress.